BEFORE YOU POST, make sure you’re responding to your Spring Swap hosts please!! If you signed up and haven’t gotten a matchup yet, contact your host again ASAP. We’ve had very few people confirm that they received their matchup!! 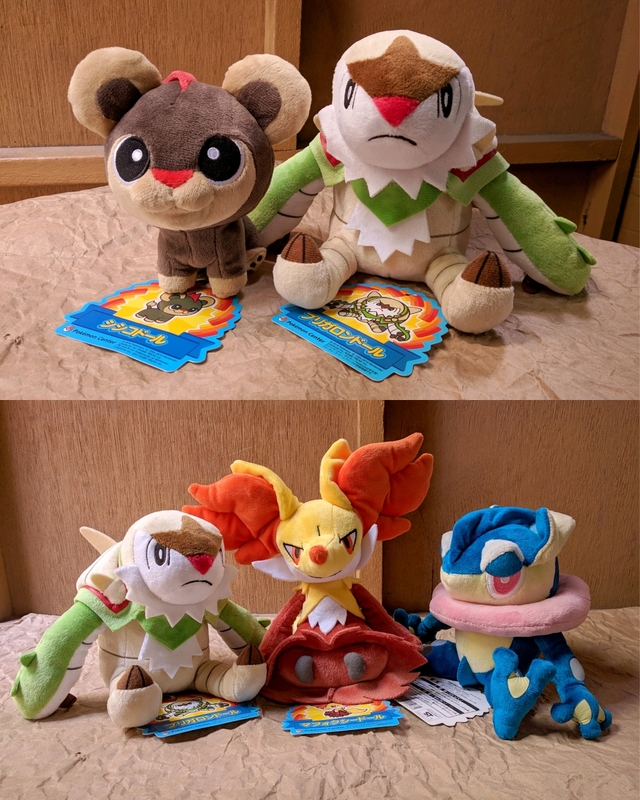 GENERATION 8 HYPE! Keep posts about the new games here to help keep the community relatively spoiler free! How do you feel about the info announced in the new Direct? What are you hoping for in the new games- a specific Pokémon type, regional changes, gameplay mechanics? Let us know! Image heavy under the cut! I also have a question to anyone living in college housing or small apartments -- how do you keep your collection? Do you leave all of it with family, or take a few of your favorites, or do what I do and try to squeeze as much as you can in your place? Hello comm, hope everyone's doing well! 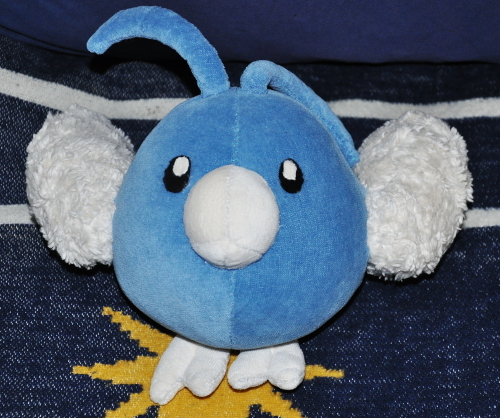 I've been slacking off from buying new pokedolls as I'm on hunt for this fat headed birb, does anyone have this for sale? My budget is around $100 excluding shipping and item can be shipped to 94545 Hayward, CAor Manila, Philippines. Just wanted to make a quick sales post. I only ship out on weekdays and use USPS. I have a pet friendly home. State clearly if you are asking for a quote or committing. Please pay within 24 hours if you are comitted. Prices do not include shipping or PP fees. Shipping starts at $3. I do accept trades for Dratini/ Mew or Lugia items. Guess what came last week? MY SSS! :D I always love this time of year. It is so much fun to see everyone gifts and act of gifting! SO MUCH FUN! Many thanks to my wonderful gifter, mccatnip! Your gifts were wonderful. :D MANY Thanks again! 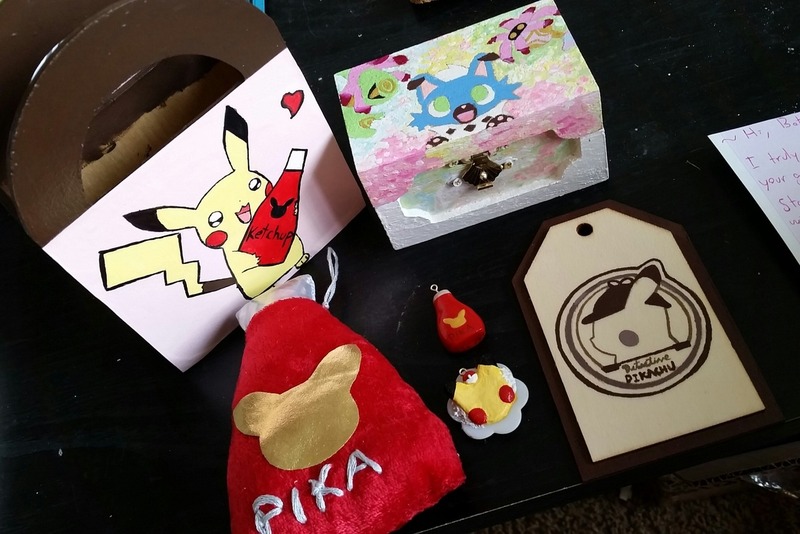 I added two new items to my sales (a sleeping pokemon and my Love Story DVD). Also a friendly reminder of my current sale going on...Buy One Card Lot, and Get One Free until end of this month! I have claims open for two re-ment sets releasing in July. - Sales permission granted November 21st, 2018 by areica96. My feedback can be found here. AUCTION REMINDER! 24 hours left! Over on eBay, lots of lots! Hello everyone!! ^^ I have decided after seeing many people do this that I will do my own official want list ! Hey guys! 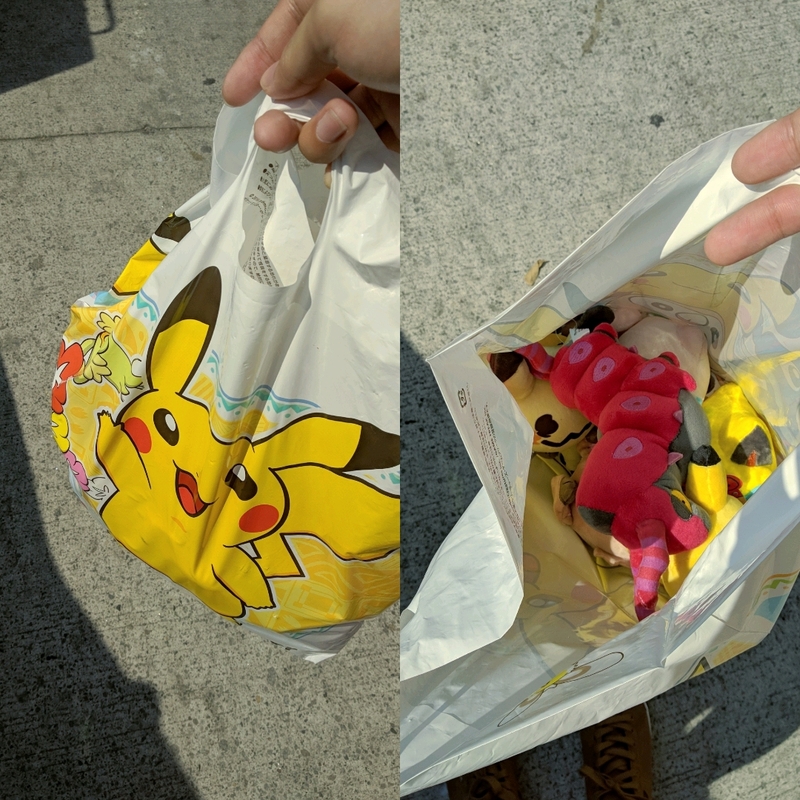 So, I got my Blooming Curiosity Pikachu today, he's super cute! But I noticed something that's been bothering me for a while. On the paper insert you receive showing the silhouette and release month of the next two figures, mine shows these two as the ones for June and July. Hi folks, I have some figure trades or sales on behalf of my sister :) The items are in my possession and will be shipped through me. She is looking to trade for other figures that she doesn't have from the same series or similar series. 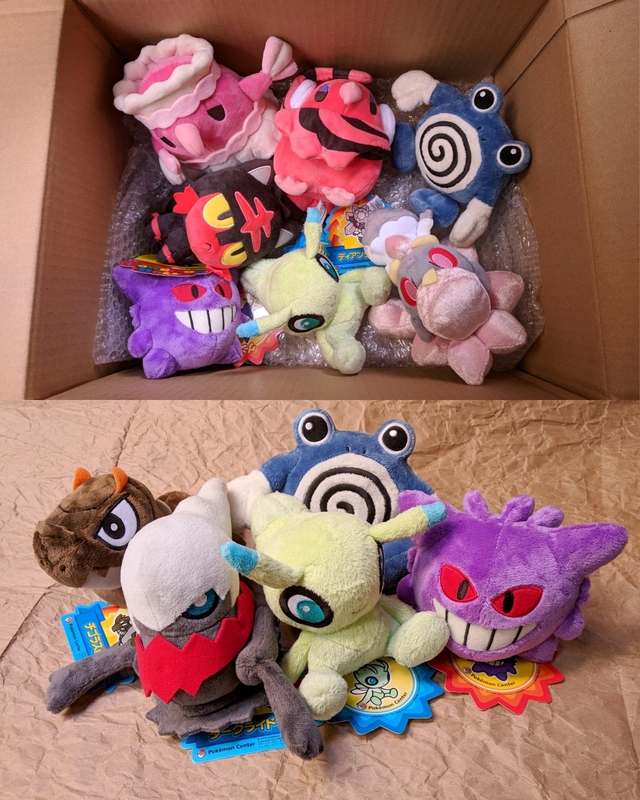 The figures are still sealed in the original packaging, aside from the box being opened to see what is inside. The images below are the figures she already has in her collection. Hi there! 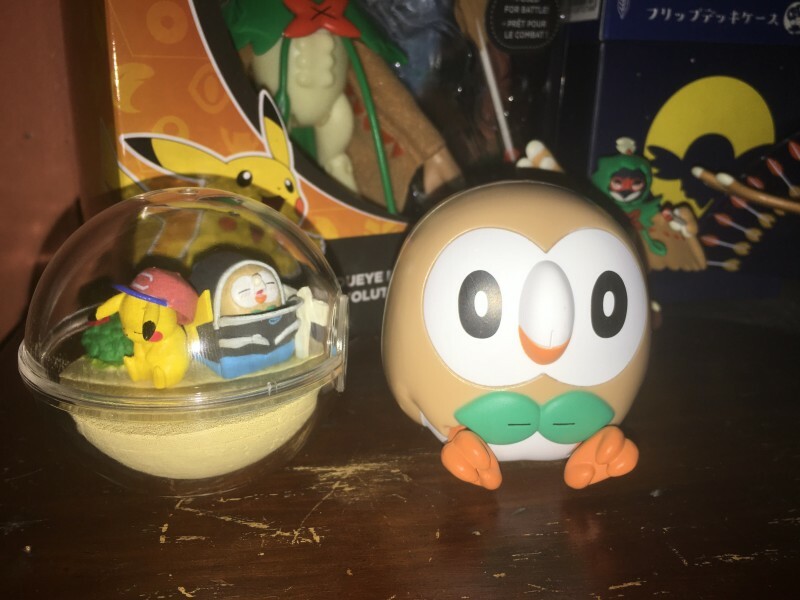 I was wondering if anyone could help me out by finding these two banpresto prizes? 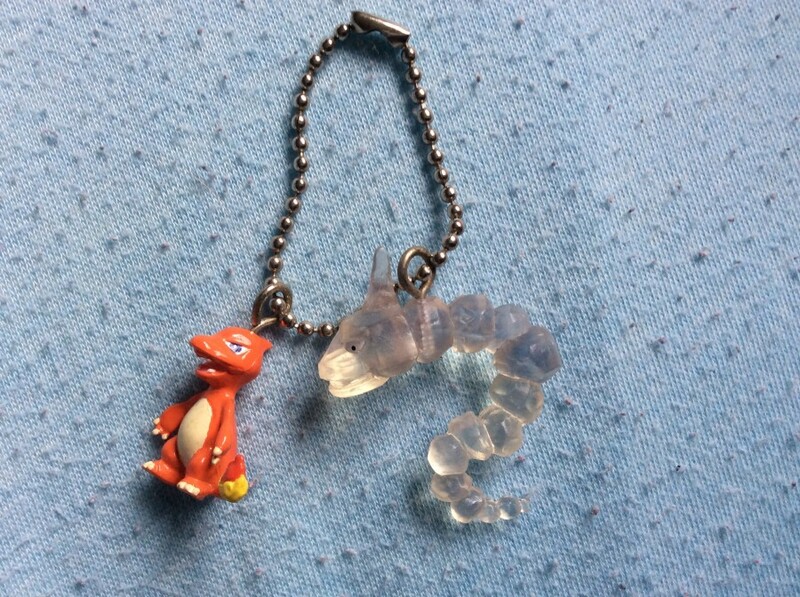 I am looking to collect Slowpoke and Psyduck and I would love to have these two join my collection! 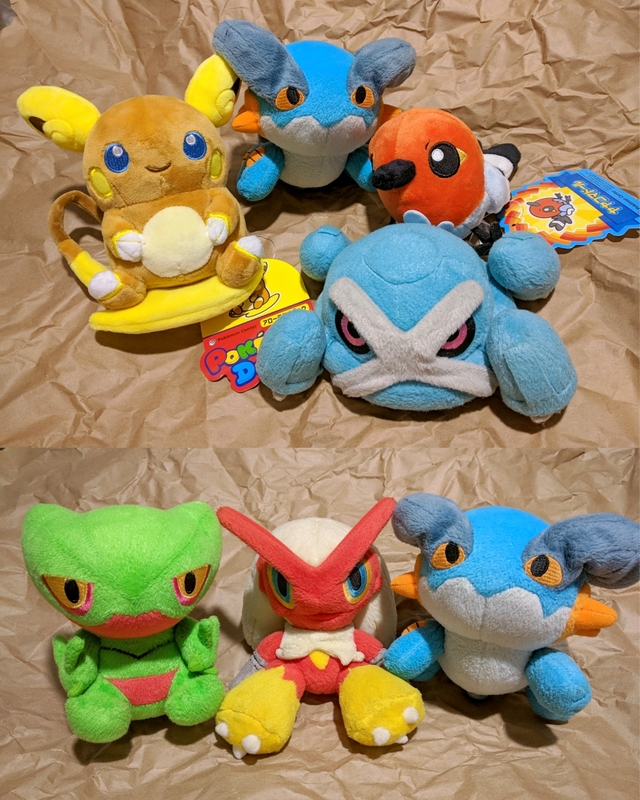 They are available on Ebay and Yahoo jp but my proxy isn't accepting my paypal for some reason and I feel like they are overpriced on Ebay. I also tried Toreba but that feels like a waste of money/its glitchy. 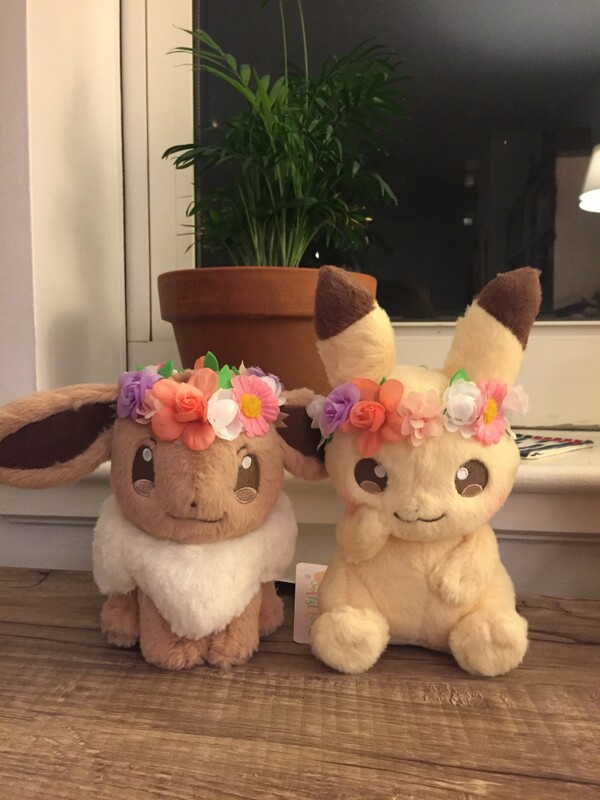 I want to slow down on collecting but I just have to have these two cuties ^^ I am not ready to buy from people immediately because I need to save money for moving. But in the future I would love to give these two a home. Or a step in the right direction of getting them would be nice! I’ve just lost out on this tin bundle from Y!J (I’m so sad XD). 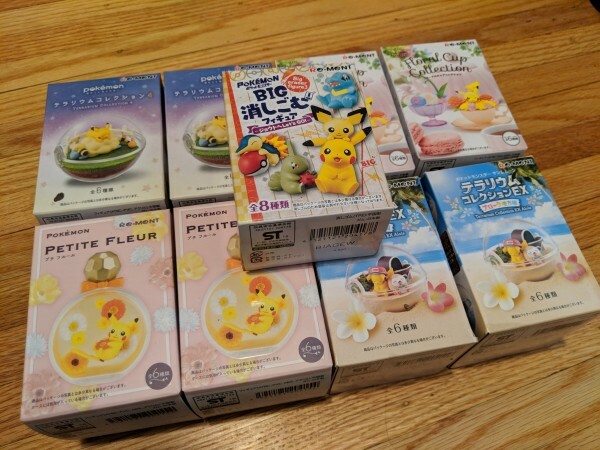 I really wanted the Phanpy and Teddiursa tins for my respective collections of those so I just wondered if anyone has any info on where I could find another or info on their release??? 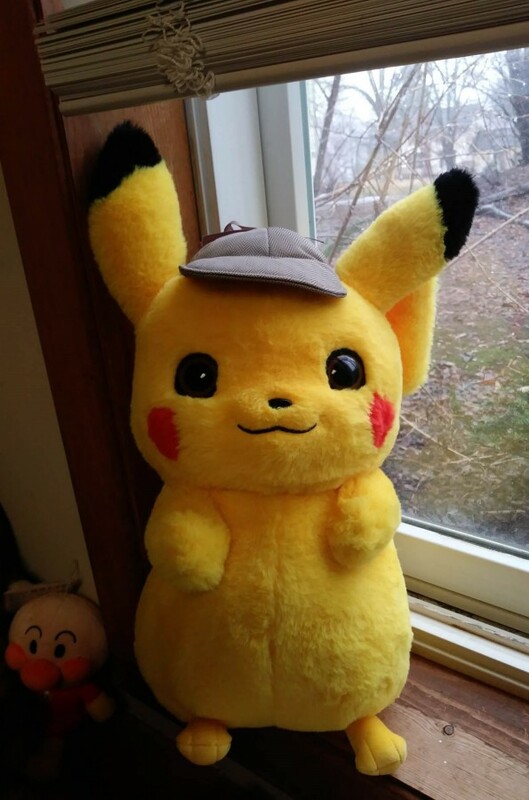 Chinese exclusive Detective Pikachu Plush ! Hiya ! 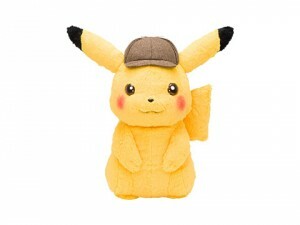 Hours ago an official licenced Detective Pikachu plush had been released for presell in China ! I am sorry for how wordy this is going to be. Hi, it's been about a year? since I last posted on here, but I've been really contemplating my collection. 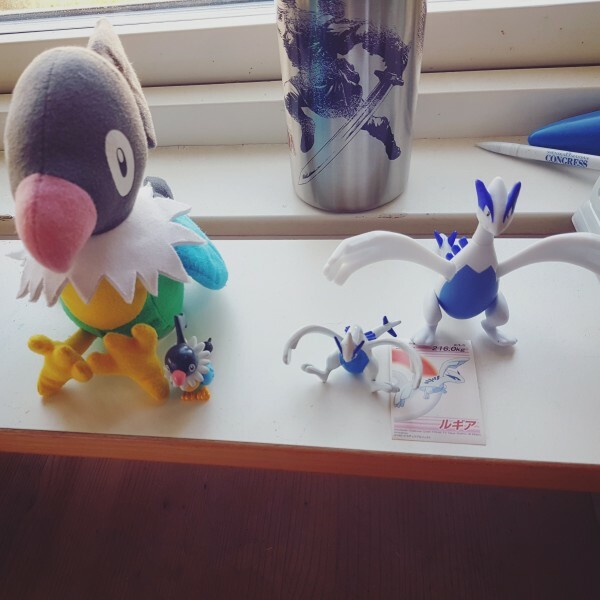 I love Pokemon, but I've come to realize that I want a more modest and controlled collection. 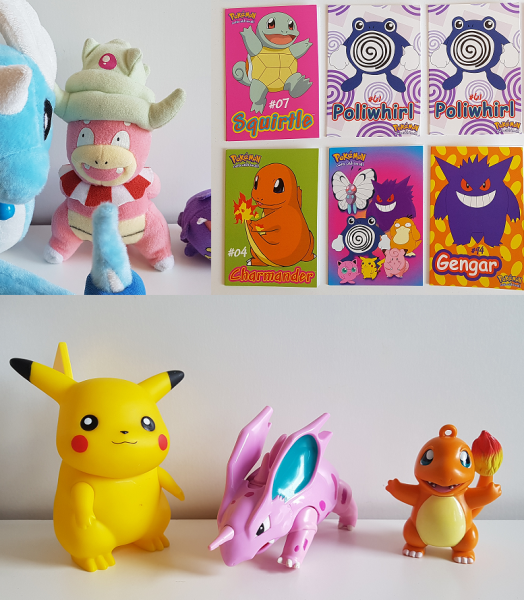 I want a collection that is all pieces that I personally want to display (rather than my collection being some really amazing pieces with some that I just have with no real reasoning other than it being a Pokemon that I like). This has touched a lot of my other collections as well. I've been realizing that I have pieces I will never be able to display and I feel like that's wrong in some way. Collections are meant to be on display and meant to have their own life. My collection should be allowed to do the same thing. I've come to feel that I want my collection to be more quality over quantity. And "quality" doesn't mean that the pieces I plan on pruning aren't good pieces. Quality in this case really means something more like... the quality of my feelings towards that particular piece. This may be a really cool piece, but if the feelings aren't there, why should I hoard this away when someone else could have it and have it mean so much more to them? I feel like I'm really maturing as a collector and I feel like this "quality over quantity" mindset will really help keep me from getting into a situation like I'm in now where I'm almost desperate to move pieces because I want space for my permanent pieces. Of course, this is my own opinion and my own personal experience with collecting. Along the same vein, I wanted to ask if anyone had hunted a particular piece for their collection and had it not be as special when they actually got it? I've had that recently with a grail-tier item and I wanted to know if I was alone in this. 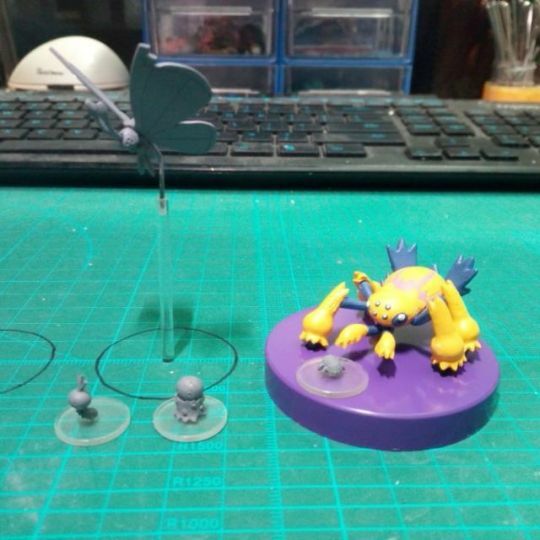 Aaaand, last, but not least, I recently made some custom stands for some of my Pokemon figures out of hot glue! I actually rather like how they came out, though I think I need to work on them some. I feel like the foot holes ended up too deep for some of them. I currently only have pictures for my Lucarios, but I still wanted to share! I had an amazing surprise! 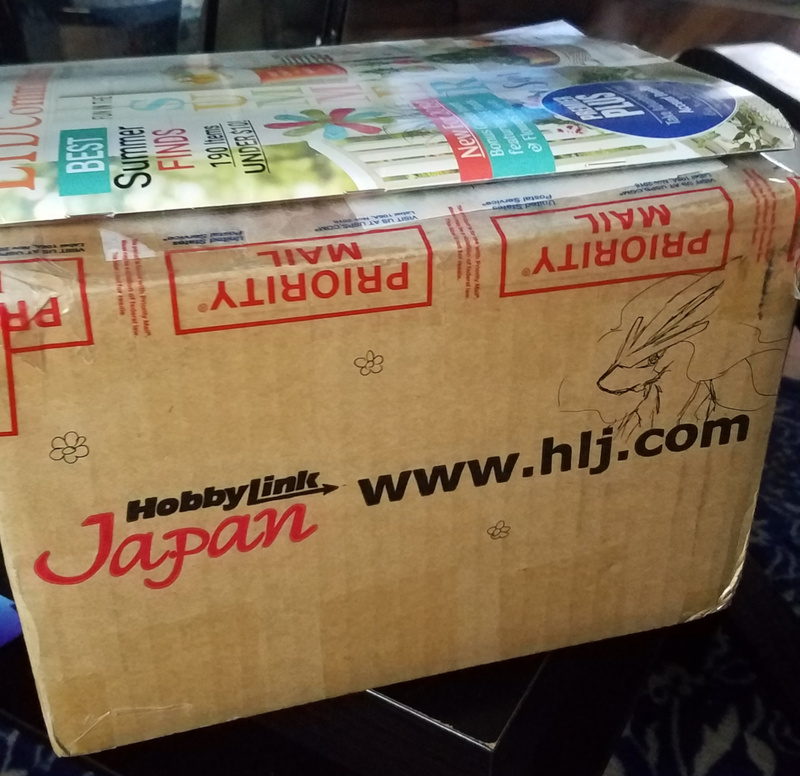 My SSS gift arrived!! There're many pictures, so you can see them here! Is anyone taking claims for the newest set of terrariums? Is anyone taking claims for these yet? If so, I'd love to claim the Magnemite one! Thanks a bunch in advance! I added a bunch of new stuff and changed the prices of some things. I also do commissions now. Click the picture or link below to check it out! 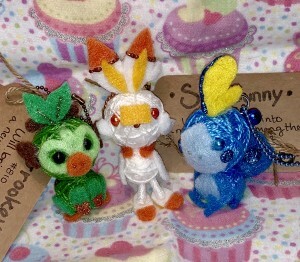 I have updated my sale post once again! 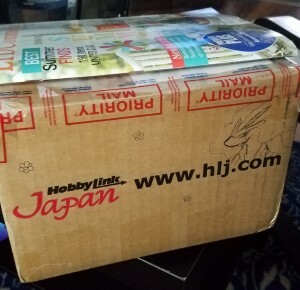 My Spring Swap gift arrived! It actually arrived a little while ago, but things have been so hectic that I couldn't post or take some good pictures ^^' But! It's finaly time for my SSS gift! click images for better view of prices/items! 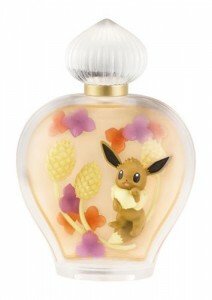 PS: EASTER ITEMS + TENTARIUMS + SOME EEVEELUTION CABLE FIGS HAVE ARRIVED! WILL MAKE TOTALS AS SOON AS I CAN! hi pokey friends :D It's been a while since I've posted to the community. how goes everyone :D I hope your collectings are having fun and going well ^u^! :D Today I share with you the GREATEST SSS of this season. I'm just SO EXCITED over my gifts and it's just so much and so awesome and asdfghjkl ok let's get into it :3333! so anyways, thats the end of this post :3 thank you so much for reading and im sorry to everyone else but my gift this year is the best! UwU I got such an amazing gifter and i love my stuff so so so so so so much i love youuuuuuuuu i loveeee ;;;;;;;;uuuu;;;;;;;;; i lovee!!! 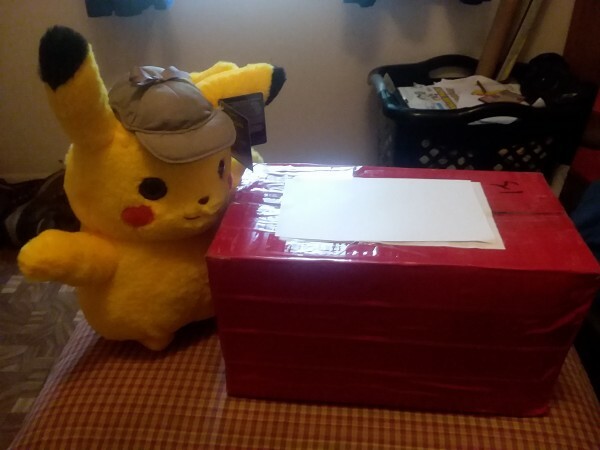 my gifter went above and beyond to make this a super fun and amazing memorable package opening :D :3!! happy easter to all and other whatnots and thank you again and have a good spring :3 :D! Hello everyone! 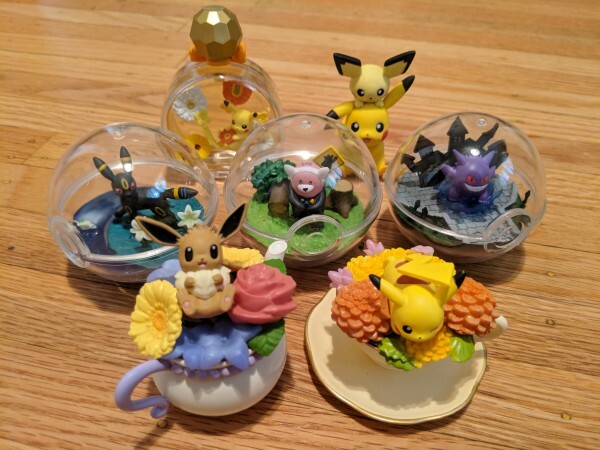 I recently received the limited edition Lotteria Squirtle flower snow globe, and I thought it would be a good idea to do a review on it! Sales! Taking offers on items! Bringing my sales post back! 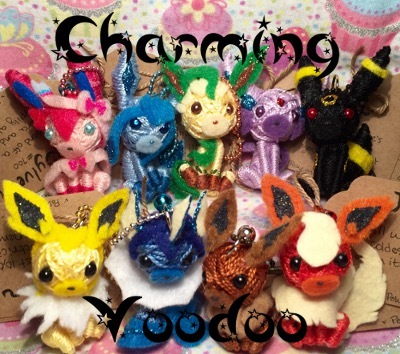 I am getting rid of a lot of items from my personal collections, pokedolls, tons of other plush, keychains, figures, you name it! I am also going to Tokyo from May 5th until 12th, so getting a bit of extra funds will help me a lot! 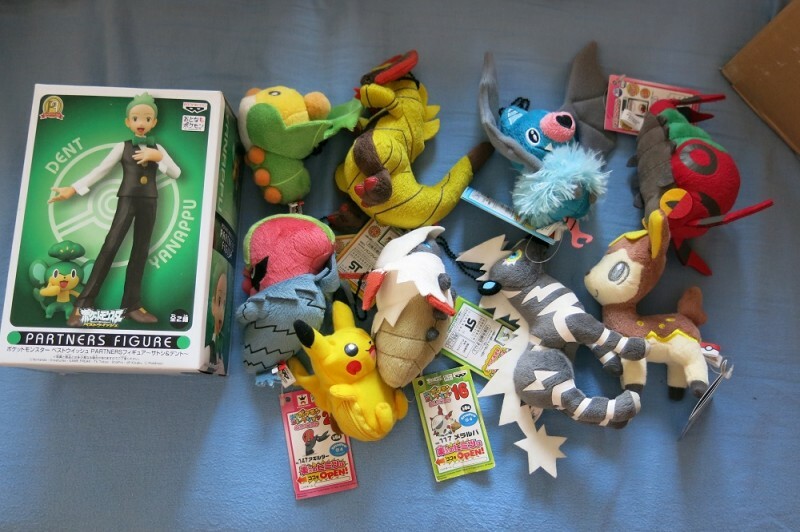 I still have over 10 boxes full of stuff, would love my Japanese 1:1 Charmander and Snivy go to good homes as well! 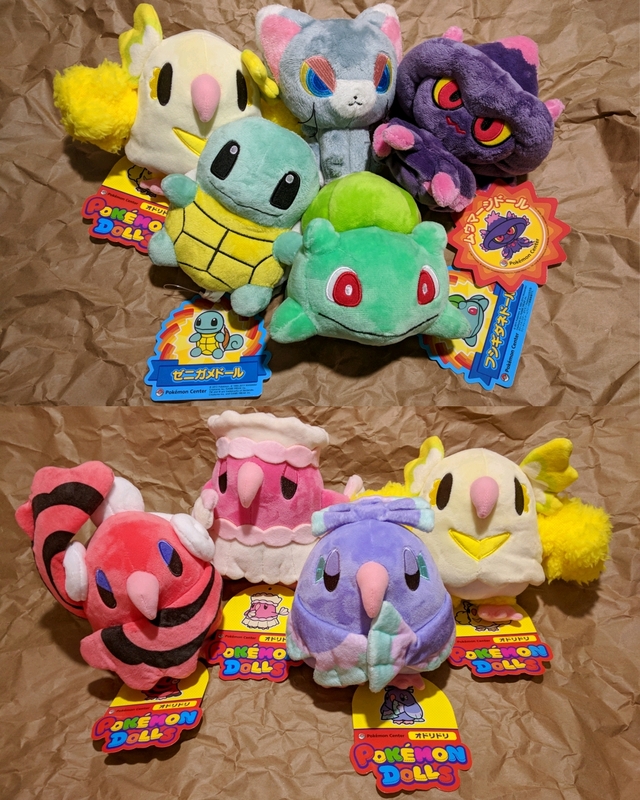 PLEASE GO HERE FOR THE POKEMON SALES POST! 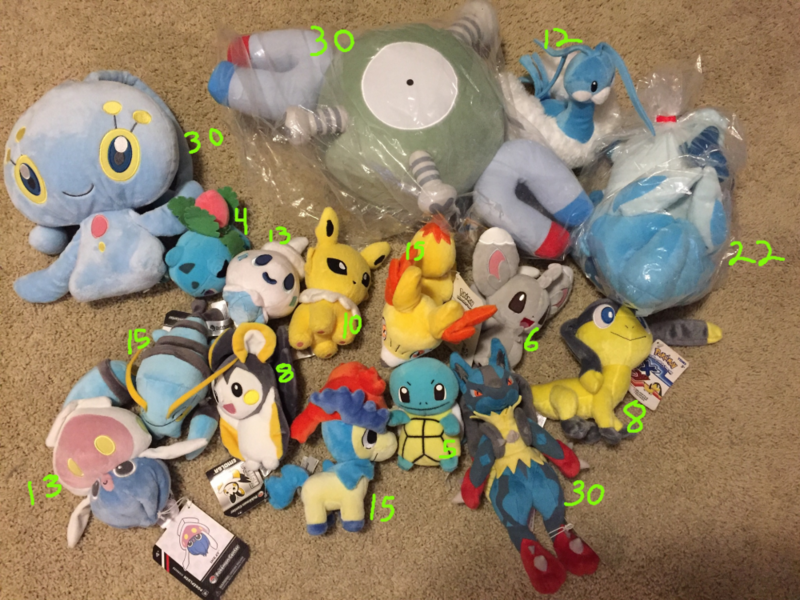 I also have a NON-POKEMON sales post, I have items from BNHA, Super Mario, Kirby, Zelda, One Piece, Gintama, Mamegoma and tons of other things! 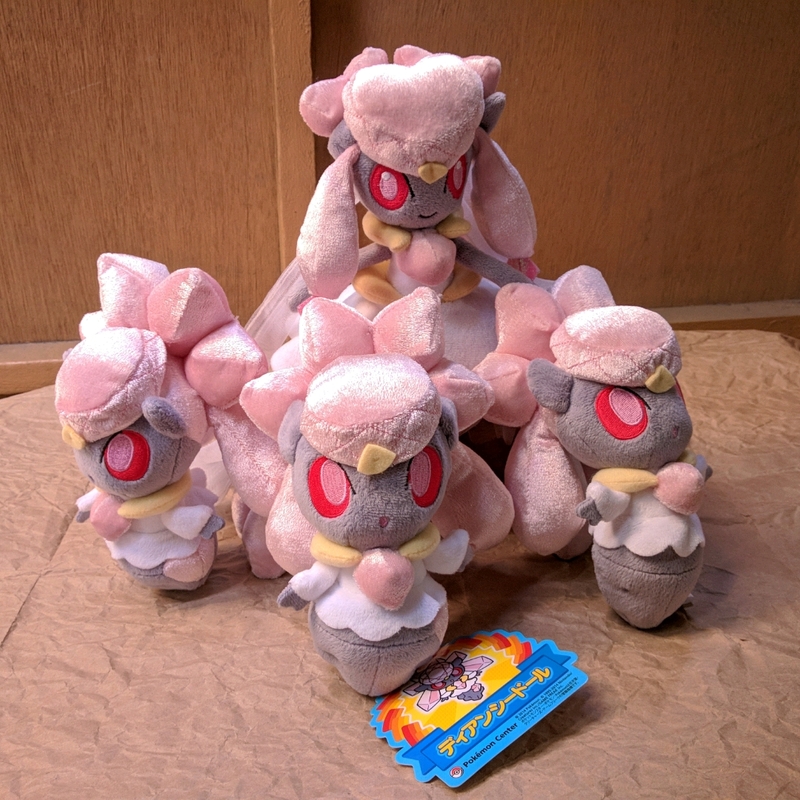 PLEASE GO HERE FOR THE NON-POKEMON SALES POST! Good morning! 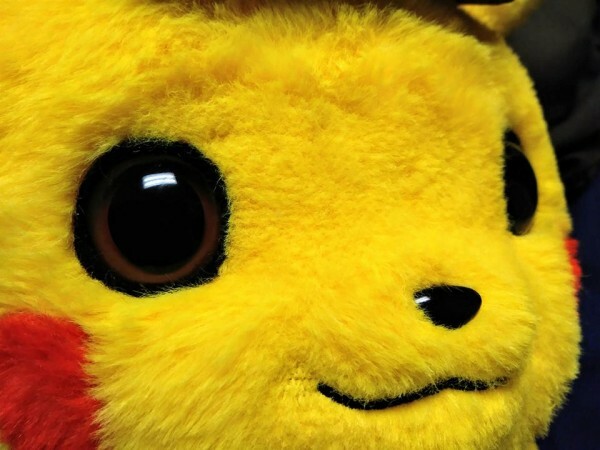 We've finally got the official pokemon center detective pikachu plush-and it's so fluffy! 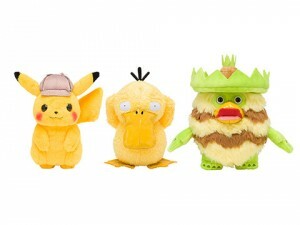 There's a lifesize detective pikachu, standard size pikachu, psyduck, and ludicolo plush, and a mascot detective pikachu. There's also other miscellaneous merch, the standard charms/socks/phone cases/clearfiles/etc. 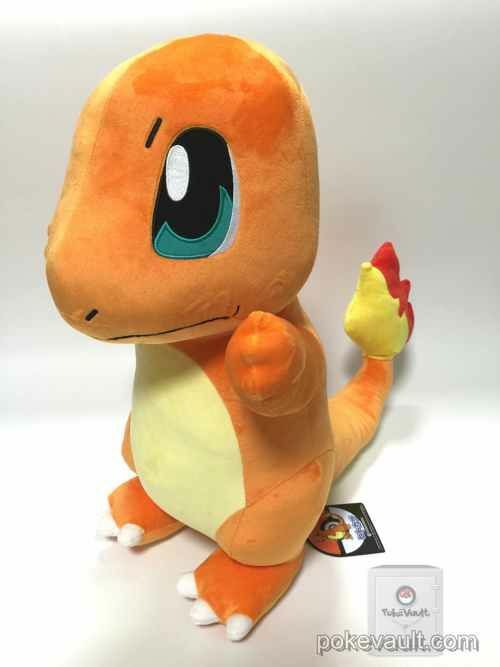 I'm most excited for the lifesize plush, it looks awesome! What do you guys think of this release? 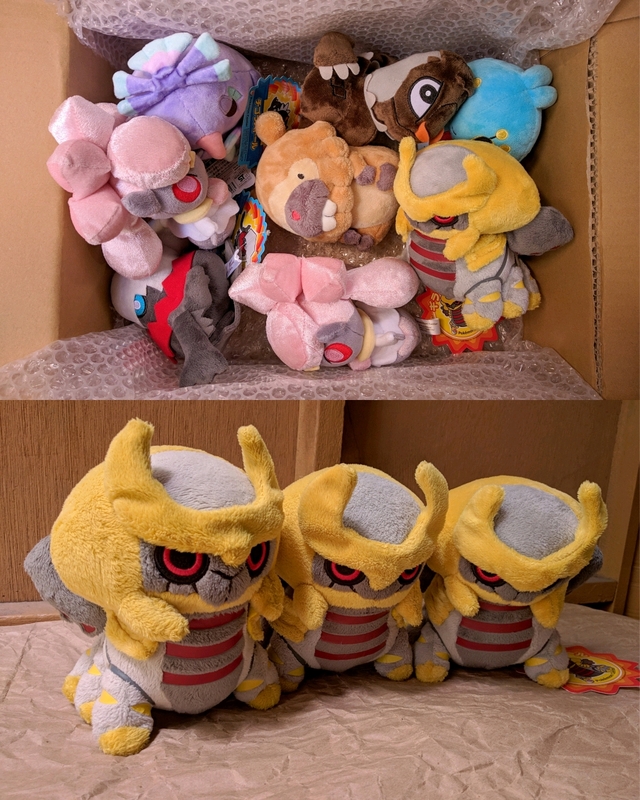 Lately, while browsing eBay, I have come across with these two plush. 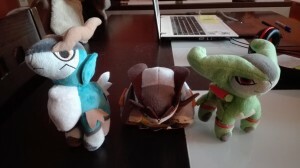 I know Grovyle has only one "official" plush (Hasbro) but there seems to be a second one. However, I have no idea what these are. Most of the listings say "from China" so I turned my back on them. 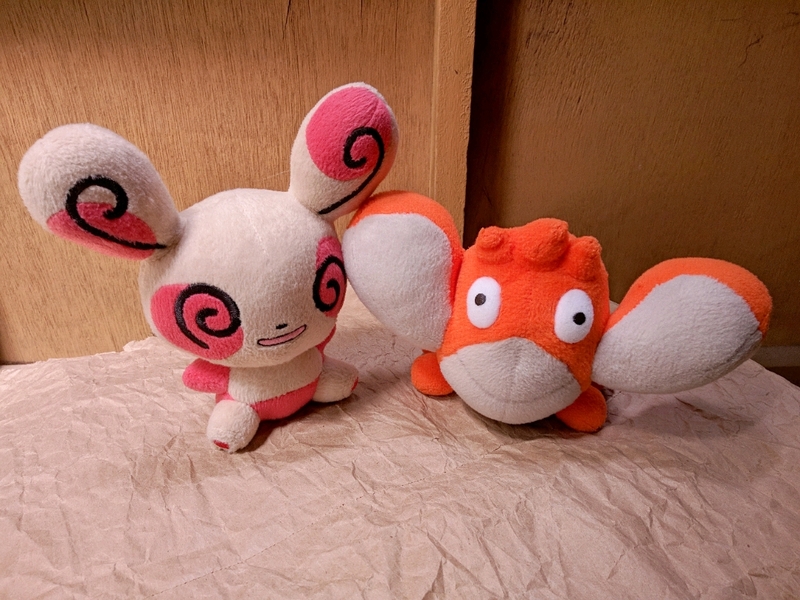 Does someone know anything about these two plush? Any info will be appreciated! I finally know what I want (this should have happened BEFORE SSS but alas...)! 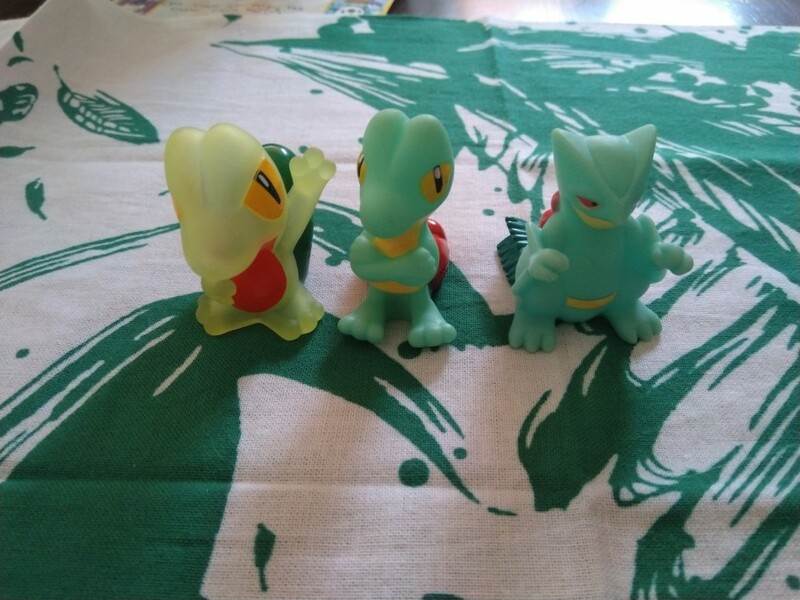 I am now in search of some shiny kid figures and clear kid figures (Treecko, Grovyle and Sceptile). I currently have these three. 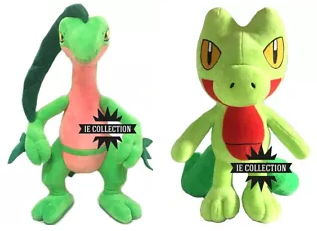 I think Treecko and Grovyle both have two different shiny kids. I'm not sure about clear kids. Anyway, any help is welcome! 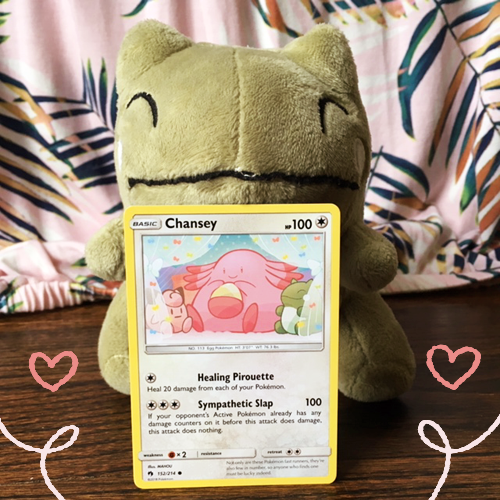 SSS (Secret Spring Slowpokes) Time! I was *literally* watching my post man from the window this morning cuz he had a BOX and I knew what time it was!! Hello everyone! 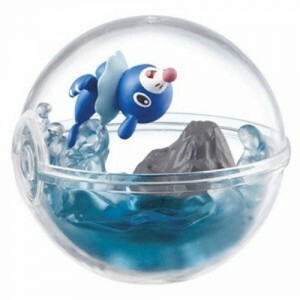 Is anyone selling a Japanese Ditto Transform Electrode plush or know where I might find one? 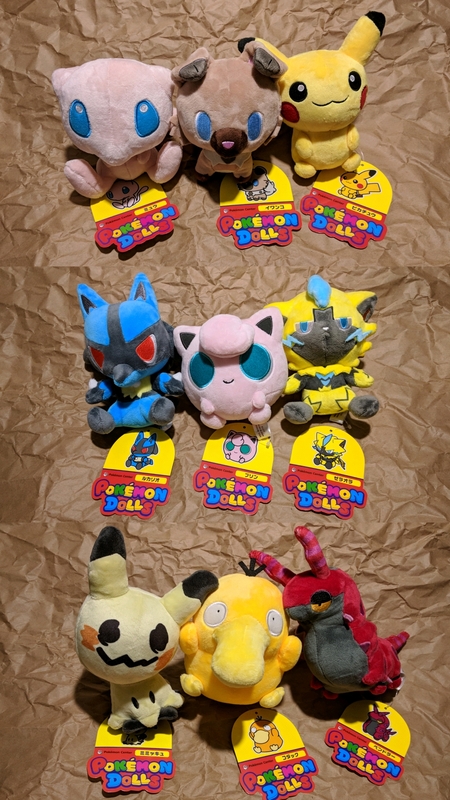 I have searched in all the places I can think of, Pokevault, Japanstuff, Asakura, Amazon, Ebay, and even the online proxy service FromJapan but no luck (at least for the Japanese version) I LOVE the tags so I don't want to go to the Pokemon Center International. Any help would be much appreciated! That's right, it's my turn now! My SSS gift arrived on Saturday, but I'm just getting around to posting now. I was pretty busy over the weekend and actually didn't get to open it right away. Saturday morning I went to breakfast with my mom and then to the craft show. On the way home I thought to myself, "I betcha my SSS will be waiting on the porch and I won't have time to open it" and darn it I was right. I was already running late to do Community Day in Pokemon Go, so I grabbed the box as I ran inside, then went right back out the door to head to the local gathering spot for Community Day. I didn't get back home til around 7PM when I finally got to open my SSS gift.